The Sloggi Control Tai brief is a high leg pant with a reinforced V-shaped front panel which gently smooths and shapes the tummy. 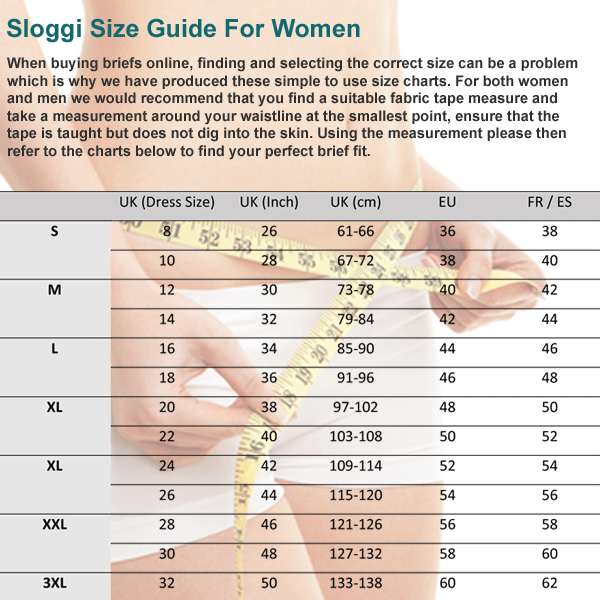 Sloggis famous Cotton with Lycra mix ensures a perfect fit, comfort and durability. This twin pack is available in White, Black or Poudre, in sizes 10 to 26. I pressed the wrong selection item but it was too late to change when I discovered my mistake. There was a slight delay in delivery being out of stock but they arrived in time for my holiday. Top quality as usual. Expensive but well worth the cost as they are such good quality that they last through many many wearings and washings. Very comfortable. I have worn these for years. Since my local shop stopped trading I have been using needundies for supplies. I love slogging tai briefs they fit well and last well too. Love my sloggis, fabulous fit, neither too brief nor too all encompassing.